FAIRBANKS, Alaska — A man from northeast Alaska said he fatally shot a polar bear that had strayed far south of the animal’s usual habitat. The bear was shot more than 100 miles south of the Beaufort Sea coastline. He said the animals usually stay within a few miles of the coast, except for some pregnant females who may go farther inland to build their dens. 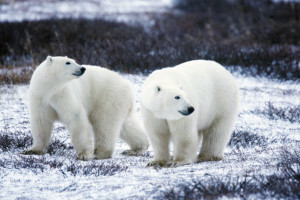 A polar bear was seen in 2008 in the village of Fort Yukon, about 110 miles south of Arctic Village, according to the Alaska Department of Fish and Game.